Picture snaffled from the official website. Because as we all know, we don’t take pictures at the theatre! That’s a shame, as I’m a great fan of the source material (the joy that is the film Calendar Girls) and the county so beloved in the film and the play, Yorkshire. So imagine my delight when my sweet friend Lou texted to say she had a ticket going spare – I swiftly added the date to my diary and looked forward to it! Apart from the film background I knew very little going in, but sometimes I quite like that in the theatre. For every show I go into word-perfect (42nd Street, The Lion King, etc) I’ve gone to see plenty of things ‘cold’ and rather enjoy catching a show in the raw, reacting as things arise. 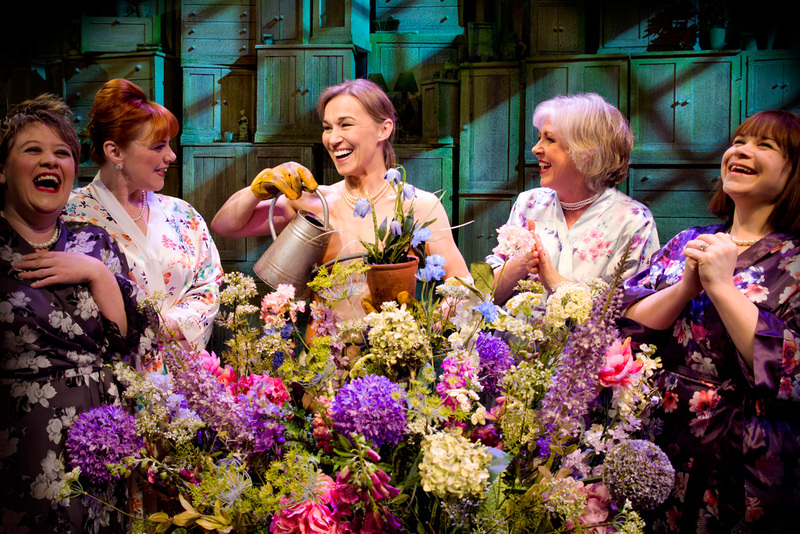 The Girls is a pleasant and moving piece of theatre. I laughed as much as one expects to in a musical comedy, but what really struck me was the space and time the writers were willing to lend to the sadder, deeper, more poignant moments. The Girls is about many things – friendship, community, making a difference, but it’s also about loss, and in the moments where this took centre stage it was masterful. There was a good fifteen minute stretch where I was officially ugly crying. Thank heavens for the napkins I’d taken with my dinner from Pret beforehand! The cast of The Girls is beladen with some serious talent. The whole ensemble is good, but there were a couple of highlights for me. It was such a treat to see Joanna Riding sing live (the Witches of Eastwick soundtrack with the London cast is one of my favourite musical theatre recordings ever) and her performance as Annie was beautiful, the real heart of the show. Sophie-Louise Dann was brilliant too, in a role which balanced comedy, pathos and confidence – whenever I see her perform (I loved her in Made in Dagenham and Bend It Like Beckham too) I’m thoroughly charmed. The Girls runs at London’s Pheonix Theatre until the middle of next month. If you’re looking for an entertaining, moving night of musical theatre, you’d do well to pick up some tickets – it’s a great wee show! I absolutely loved this show and was lucky enough to see it on the evening that Gary Barlow and Tim Firth came on stage afterwards to talk about putting the show together.